The Tacx Trainer Tyre is a great product for anybody using a Tacx (or any other) turbo trainer to improve their fitness when the weather turns. Designed specifically for turbo?s these tyres are far more durable than regular types as they?re made from hardwearing rubber - so you don?t have to keep buying spares.The rubber material reduces overheating which is the main reason a standard tyre wears down so quickly. The trainer tyre also gives you better grip on a turbo trainer (especially one of Tacx own models) for a more stable and efficient ride. Great product! Although I've only been using it a few weeks it should last a lot longer than a regular tyre so great value for money.Highly recommended! 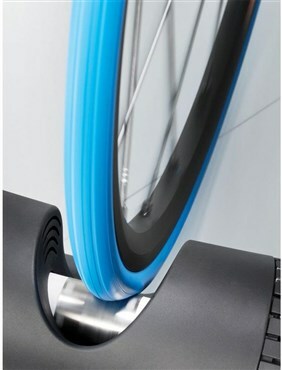 The Tacx Trainer Tyre is an excellent product that is far more durable than a normal road tyre for turbo use. Whilst the trainer tyre is more expensive than a regular tyre it will last far longer and thereby save you money in the longer term.